Thank God! 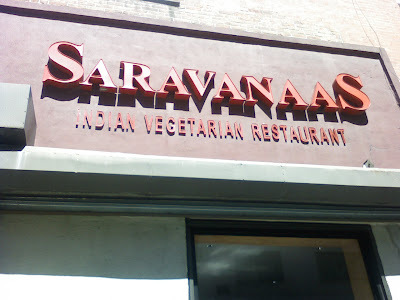 After several cold months without Indian food, I made it uptown to Saravanaas. Thank God! It is part of a restaurant chain spanning the globe - a literal map of South Indian diaspora. Edison, New Jersey, Sunnyvale, California, Vancouver, Qatar. And New York City. I ate there first at their original location, in Chennai. 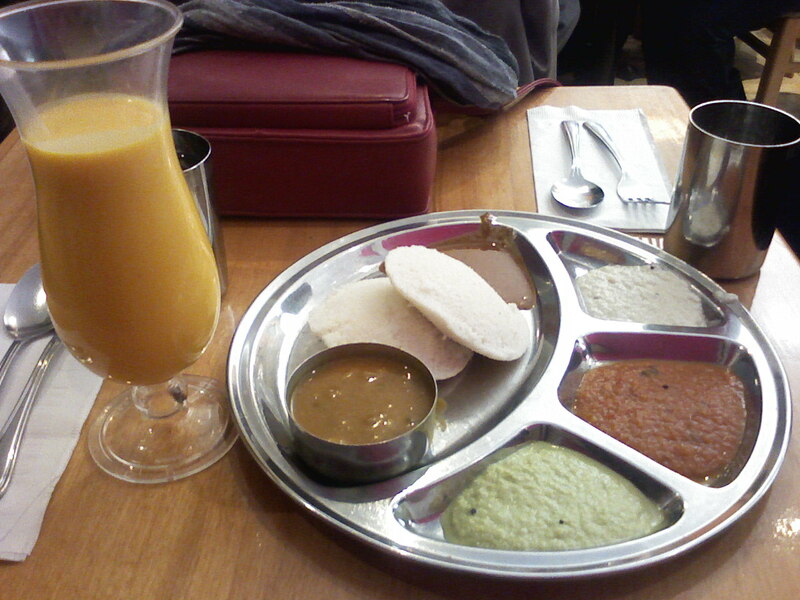 I brought my mother to show her how South Indians do it. 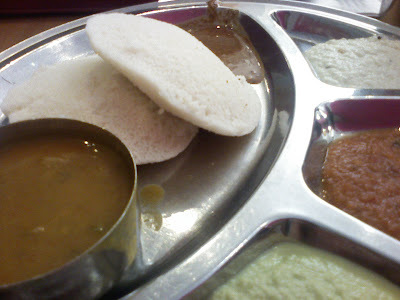 We both love a curry but I was eager to introduce her to the Southerly treats: we started with idlis. When you need a dose of dosa... head to Lexington Avenue & 26th Street. 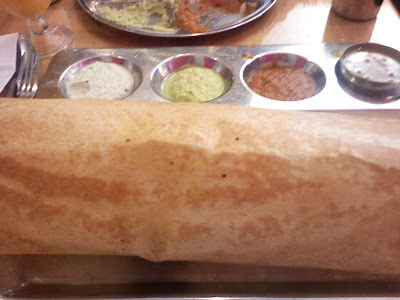 Prepare to wait in line with a lot of hungry Indians. Warning: any food too large to fit in my camera screen should not be eaten in one sitting. Prepare to waddle home, clutching your belly like a woman about to give birth.